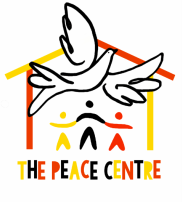 Welcome to The Peace Centre! We believe every child deserves love, care and a home. The Peace Centre is an orphanage situated in Bukinda, Southwest Uganda. We now have 40 children enrolled and we take a great deal of care in the process of taking in children who are genuinely needy. The vast majority of our children are double orphans who have no immediate family. Typically their parents have died of AIDS, and most of our children are two or more years behind in school because they have not been able to afford the fees, even though, at as little as GBP £10 a year, these are very cheap. Our goal is to provide love, care and a home for each of these children, to ensure that they are educated, healthy young people who can be successful in life. Everything we do revolves around building caring relationships. We want our children to make a meaningful contribution to Bukinda's community. ﻿﻿﻿There are many children around Bukinda who need a home. Click here to find out more about what it means to sponsor and build a relationship. There are opportunities for people who would like to volunteer at The Peace Centre for a period of 3 months or more. Click here to learn more.